Is Netflix open to saving any more TV shows? 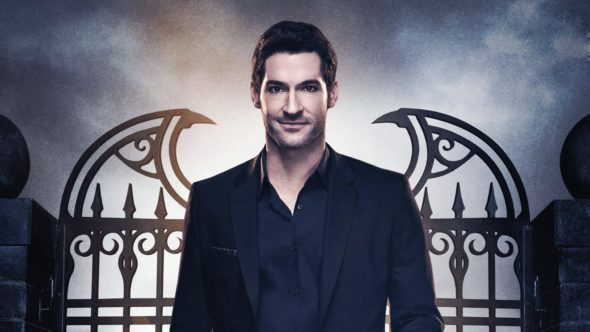 Recently, the streaming service’s VP of original content, Cindy Holland, discussed the future of Lucifer, Shadowhunters, and Timeless, Deadline reports. As reported earlier, Netflix has picked up Lucifer for a fourth season after FOX cancelled the TV show earlier this year. The cast includes Tom Ellis, Lauren German, DB Woodside, Lesley-Ann Brandt, Kevin Alejandro, Rachael Harris, Aimee Garcia, Tricia Helfer, Scarlett Estevez, and Tom Welling. However, while Netflix has saved Lucifer, it’s still unclear if the streaming service will save other cancelled shows like the recently axed Shadowhunters and Timeless. What do you think? Are you a fan of Lucifer, Shadowhunters, and/or Timeless? Do you think another network will pick up the cancelled series? More about: Lucifer, Lucifer: canceled or renewed?, Netflix TV shows: canceled or renewed?, Shadowhunters, Shadowhunters: canceled or renewed?, Timeless, Timeless: canceled or renewed? We NEED Shadowhunters – pleeese consider picking it up!! Please save the show SHADOWHUNTERS. The world showed and made our voices loud and clear. SHADOWHUNTERS was the TV show of 2018 and the bingeworthy show of 2018. You saved Lucifer. Now it’s time to save SHADOWHUNTERS. GIVE THE PEOPLE THE MIRACLE WE SO WHOLEHEARTEDLY NEED. Please #saveshadowhunters ! This show has a huge fan following !! And a fabulous cast ! Netflix would be a fantastic place for this show to renew! We put a lot of time in voting for all the awards the Shadowhunters got our love for the show knows no bounds Please at least consider it. #saveshadowhunters.